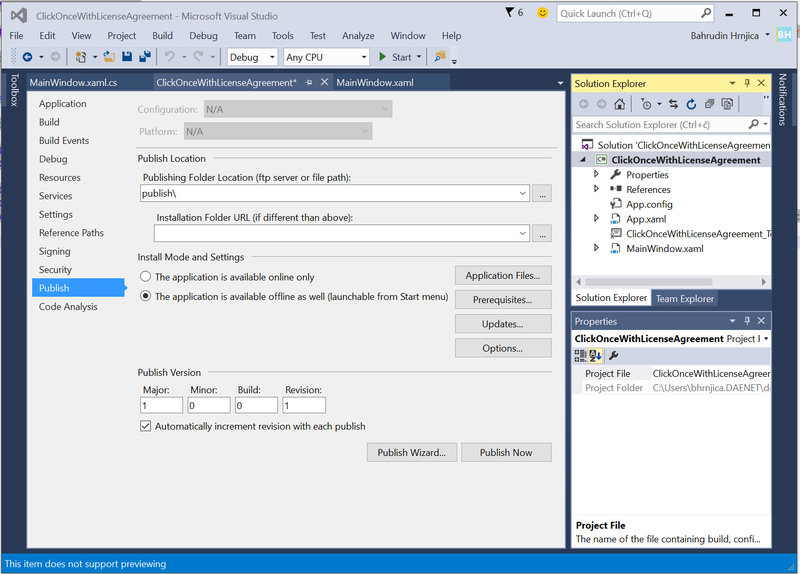 This entry was posted in .NET, C#, Visual Studio and tagged .NET, C#5.0, ClickOnce, Visual Studio by Bahrudin Hrnjica. Bookmark the permalink. I have an old ClickOnce app, compiled under VS2010. Windows 10 users cannot install using Edge. IE on W10 seems to work, usually. Any thoughts on this? I have no VS 2010 right now, but click once made by VS 2015 and .NET 4.5 works with Microsoft Edge. In your case I would check security parameters (UAC as well) on your Microsoft Edge. Thank you. It seems the security parameters in Edge are a bit lacking? Many more choices in IE 11. I will check the UAC. Thank you! One thing bothering me is automatic culture detection during installation of prerequisities. 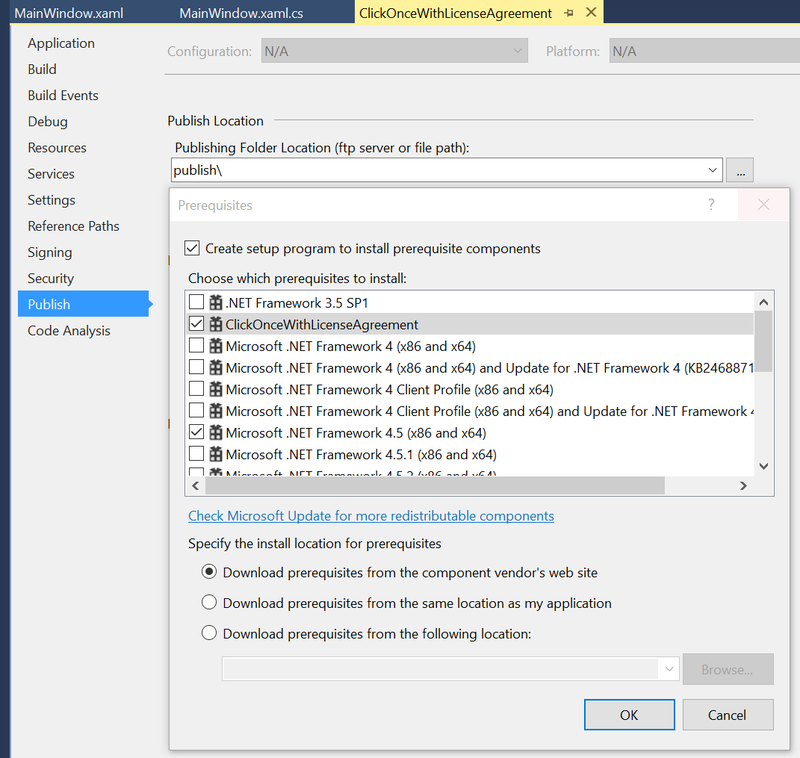 Actually there is no other possibility as setting the PublishLanguage in the Publish-Dialog in VS. Then you are forever bound to the combination install location/culture. 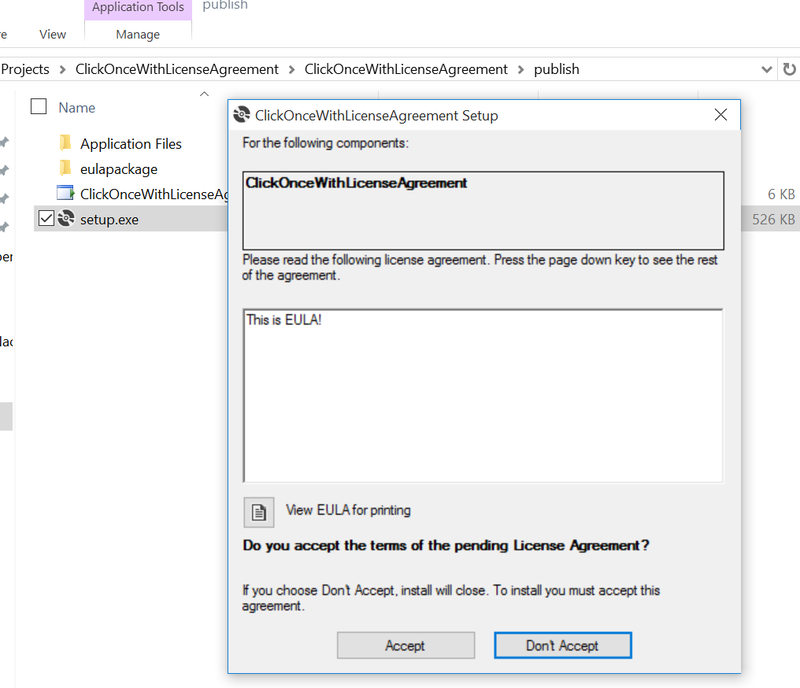 I would prefer leaving the PublishLanguage not defined or neutral and starting another exe as prerequisity showing the EULA or even showing EULA during the first start of the app – see ApplicationDeployment class. I want to add ClickOnceWithLicenceAgreement on my Application Vsto Addin for Excel, but I don’t see “ClickOnceWithLicenceAgreement” in my prerequisite component however if I create an WPF application I see that. Maybe do you have an idea ? maybe the different VS project uses different bootstraper locations. 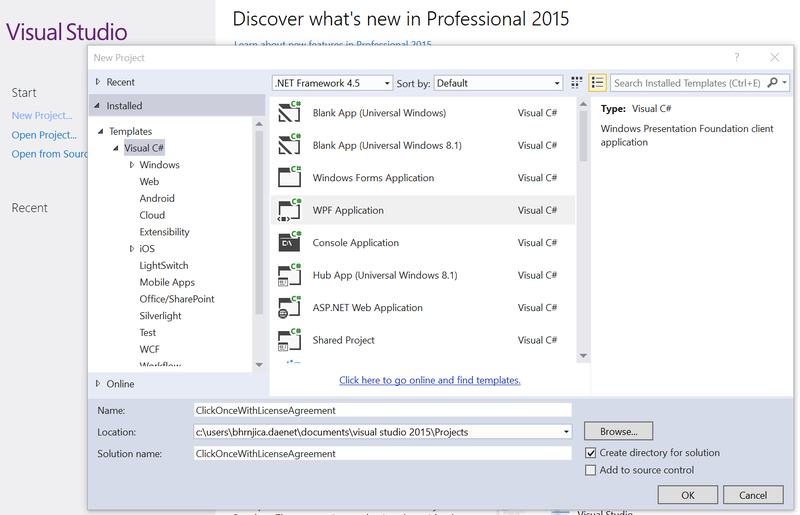 I would suggest to search all locations within Visual Studio. Try to search for some package which is Office Addin specific and which it is currently listed in the ClickOnce pre-requested modules. This is how I would try to solve this issue. Thank you for the clear instructions. Thanks so much for this helpful document!